SEO or Search Engine Optimization is the process to get traffic naturally or organically through search engines. These SEO tips apply to all the major search engines, such as Google, Yahoo and Bing, which show a list of search results where content is made available and ranked based on its relevancy to each user. Though the SEO world has changed a lot in recent times, there are certain fundamentals that have remained unchanged. For example, keyword targeting with the prime intention to improve your site’s organic ranking does not work anymore with search engines. But keywords have not lost their importance yet, since they still tell a lot about what a user is looking for. Today, with the emergence of numerous SEO techniques, it has become hard to determine which one is good to follow and which one to ignore. Everybody is confused and wondering which SEO strategy should be the best for increased traffic. To clear this confusion, here are 18 best SEO tips that can bring amazing results and improve the search ranking of your website on the major search engines if followed properly. Furthermore, increasing traffic to your site organically. The first thing you should do is search for the specific words, terms or phrases that will display your post in the search result. For example, if you are writing about different toys for pets, you should find out what people are actually searching for. The best tool that can give you a list of the latest keywords or phrases relevant to your post is Google AdWords. This tool is free and you just need to have an AdWords account to access this. This keyword planner inside Google AdWords will help you get the words or phrases mostly used to search the product or service you offer. You should properly research these words and write something informative about them. The loading speed of a website plays an important role in SEO. In earlier times, there were many slow-loading websites that easily attracted traffic. But today, a slow webpage frustrates the user and discourages them from visiting it again. According to a study conducted by Strange Loop, a delay of 1 second in loading a page can cost approximately seven percent of conversions. Many internet browsers today think that a slow website should not be trusted. Google recognized this factor much earlier though and it included site speed as an important ranking factor starting back in 2010. Moreover, the internal studies of Google revealed that on a slow loading webpage, a visitor spends less time whereas a fast loading website improves user experience and reduces operational costs. Tip – You should get rid of all the unnecessary elements slowing down your website. In WordPress websites, all the unnecessary plugins should be deactivated. Also, the sidebar should be decluttered and only the necessary widgets should be placed there. Do thorough research to find out the exact keywords that are helping your competitors rank higher in search engine results. Identify the amount of traffic those keywords are attracting. You can use any free keyword tool available online for this purpose. All you need to do is enter the URL of each of your competitor sites to get a report of the “Organic keywords” that they are using. This way, all the major keywords that are helping your competitors rank higher will be in front of you so that you can develop your strategy accordingly. After knowing what is attracting traffic to your competitor’s site, you should create wonderful content that will not only help your site rank higher but will also help you outperform your competitors. Whether you are creating the webpage of an ecommerce store, a blogpost or a landing page, always remember that it should be the best and most informative of all. If not, both Google as well as your audience will avoid it. As a result, if you would like to create content about a topic, spend enough time researching the topic to make it as informative as possible. You should always try to place the keyword in the title of your page because it helps in ranking it on top search results. Try to make the title interesting so that it attracts the attention of your target audience. A webpage usually has a large title on top and few sub-headers all over the page. This structuring helps the readers skim blog-post articles. Google also finds this useful to brief your blogpost. Therefore, make sure that the exact keyword has been used at least once in the sub-headers. On the other hand, the “alt-tag” is added after uploading a picture on your website. In simple terms, alt-tag is the text displayed by a web browser when an image does not load for any reason. If you have chosen the second option, you are right. The first one will not completely deter your SEO attempts whereas the second one will help Google show what your post is all about. Most of the content creators and bloggers today still believe in the old methods of SEO wherein keywords were mainly used to drive traffic. But the real qualities of valuable and engaging content were missing in those blogs. If you are also one of them, it is the right time to change that mindset. The search engine should not be prioritized above humans who actually visit your site. Focus on writing for people who will read your content and then buy your product. Search spiders are scripts — they do not purchase products and lack social media engagement with your site. They can never be loyal customers. While writing, forget that Google or any other search engine even exists. Create content that might be helpful for the reader. This way, your content will be rewarded by search engines because they follow users. Moreover, you will enhance user experience and build trust with them. Hemmingway Editor can be a useful tool for you because it will give you hints to improve and simplify your writing. You just need to put the draft in this editor and it will provide you tips and hints. As a bonus, it will also check the basic spellings. It is important to link your SEO content internally with other pages of your website so that the reader can browse more relevant pages to be more informative. Search engines like Google also see this positively and rank a page if enough internal links are used. One SEO tip that is often neglected by people is a perfectly written meta description. A meta description is the first section of your content that people see on the search result page of a search engine. Usually, duplicate content is not liked by a search engine, especially by Google. Sometimes, it is necessary to cite a sentence or paragraph from another site (and link it to the source). But if you always prefer publishing duplicate content, Google will surely penalize you. Similarly, your site will also get into trouble by duplicating meta descriptions. Even if Google does not penalize you on the spot, you will still not be able to provide a good user experience. Your meta description can’t be similar for two pages with different content because the content of both pages is different. If you are a WordPress user, you can fix the duplicity of a meta description by installing Yoast plugins or All-In-One-SEO Pack. You can then add a meta description and title tag by scrolling down to the bottom of the page in the WordPress editor. An important element of the SEO strategy is the social media. You should focus on enhancing your social signals, which are the views, pins, votes, shares, like or dislikes that people place on various social media platforms that are perceived by different search engines. It is true that Google has not yet added social signals to determine website rankings, but it is also true that social signals have a role to play in search engine rankings. There are many case studies that proved that pins, tweets or other social shares affect the search engine rankings. Content Marketing Institute is of the view that most marketers find it hard to produce engaging and unique content. Whether you are a B2C or B2B marketer, discipline matters most during the time of content creation. Unique content should be created and published consistently. If you have decided to make a strong presence online, creating helpful and informative blog posts is not an option — it is a must. If you have an ecommerce site, you should go for the keywords that are related to buying a product. For example, a woman who wants to know more about “red dresses” will usually use keywords like “reviews of red dresses” or “pictures of red dresses.” But someone making a search using “buy red dresses” can be a potential buyer. The best thing about it is that this title can be templated. A lot of time is consumed to write customized titles for numerous products, but this templated title will save you from any hassle. Your URL should be of 2-3 words and separated by dashes. If the link is about something average, it will disappear soon after being noticed by the moderator. However, one thing that can keep your link alive, is when it will be useful nine out of 10 times. Websites like Quora are question and answer sites. Of course, they are of less value in the SEO world, but Quora can certainly drive traffic to your site. And traffic, which is then converted into sales, is one thing everyone is looking for. You should answer the questions related to your product on Quora and link your site to allow the readers to visit. The good thing is that when people click on your link from a question answered, this means they have already trusted you. As a result, the visitors from Quora will more likely accept your offer. There are many experts who prefer writing guest posts only for the industry-leading or high-quality websites. However, you should still consider the new websites because a website that is new and having limited traffic today, won’t always remain like this, in some cases — many websites, typically, grow with time. Beside all these helpful tips, the web page or domain’s age is also a crucial SEO factor you should consider. Avoid constantly changing your domain name. Choose one and stay with it, unless there is a real need to change. If you have published something in the past which is not anymore relevant to the current users, avoid creating new content again and update that page instead. This way, all the social media shares and backlinks will be retained. During the time of link building, you should care about quality instead of quantity. Also remember to make mobile-friendly webpages because with so many people having smartphones today, webpages are often visited through these devices. 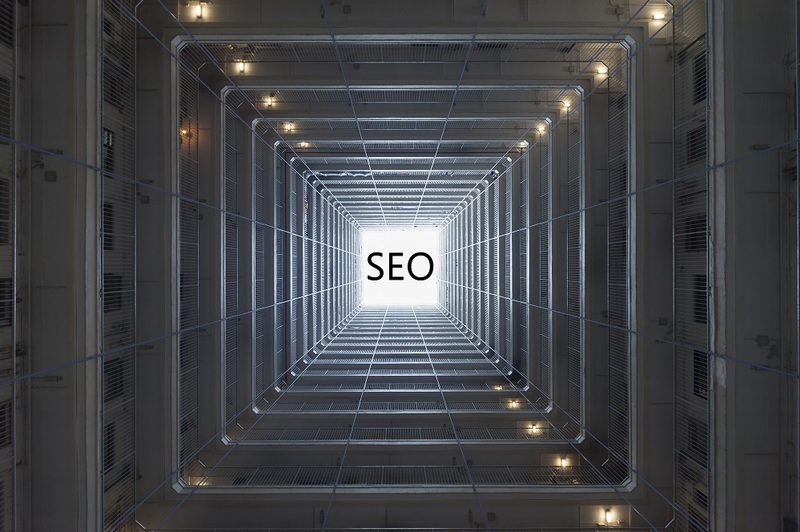 These SEO tips may not include everything that you should know about SEO. But if you pay proper attention to all these top SEO tips, it improves your chances that you will be able to create effective content, drive more natural and organic traffic, generate more leads and possibly increase your revenue.